Majuda understands that accurate documentation, along with the ability to retrieve it quickly and easily, is essential to any successful law practice. Law firms manage multiple clients and discuss a variety of detailed information over the phone. Therefore a need to be accountable for what transpires during internal and external conversations is ever present. The most efficient manner to meet these needs is to securely record, catalog and store these conversations. This type of evidence collection protects both the firm along with their clients.. Law firms particularly have a need to verify what was said and by whom in order to resolve disputes rising from telephonic conferences.Majuda Voice provides evidence of the audio content of the call in cases of "who said what" disputes. Given the low price and high value of Majuda call recording, particularly in Dispute Resolution, the ROI (Return on Investment) can be realized with just one incident. In today’s growing regulatory environments, companies must be able to provide proof of required customer interactions in order to be compliant with local, state and federal mandates. Coupled with certain industry needs to securely store contracts bound over the phone, phone orders or payments via phone, companies are required now more than ever to implement best-of-breed liability recording solutions to protect not only themselves, but also their employees and customers. The Majuda Voice Suite provides all this functionality and more to help reduce exposure to risk and mitigate liability. Majuda understands the importance of implementing a reliable call recording solution. Call recording solutions are accessed on a less frequent basis than other day-to day systems such as email or regular telephonic systems. The question most frequently asked is how can a company be sure that their call recording solution is adequately performing or even performing at all? MajudaAlert, our remote monitoring service allows us to remotely monitor and proactively support all Majuda installations around the world. Majuda understands the need our customers haveto keep sensitive data safe and secure. We also understand theimportance of complying with local, state and federal regulation. To meet these needs,Majuda has implemented system level and administrative security roles and access, incorporated 256 bit AES end-to-end encryption into all calls, provided complete audit trails of all events taking place within our systems and digitally stamped all call signatures to ensure that no call can be tampered with. Majuda deploys the latest in web development technologies to provide an unmatched user experience. Along with its advanced search features, Majuda CallTracker enables users to search through current and archived calls on more than 10 different search criteria. 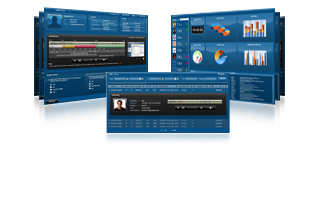 Majuda's centralized web-based administrative and user consoles allow users access to call records from any browser and from any geographic location. Majuda CallTracker's unique technology is capable of retrieving over one million calls whilst returning results in less than a second. Majuda's advanced storage and archiving functionality allows users to securely store and make searchable an unlimited amount of call data with no size or time constraints. Never worry about finding acall because it has been moved or stored in another network location, the system will simply track it for you.